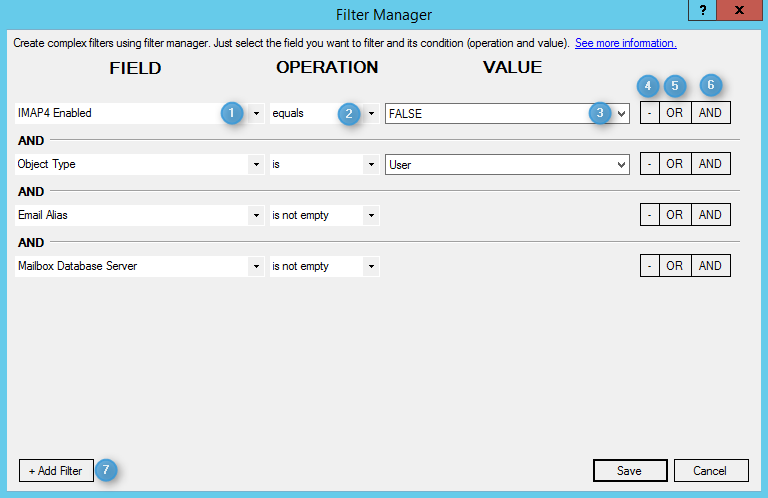 Filter manager provides you with an easy user interface which enables you to create complex filters. These allow you to choose the operation and value of the filter condition, making it easy to find the information you need. Select the filter operation. Every field has its own set of available filter operations. Enter the filter operation value. Every field and its operation have their own value type. e.g. textbox, dropdown, Active Directory object or other.